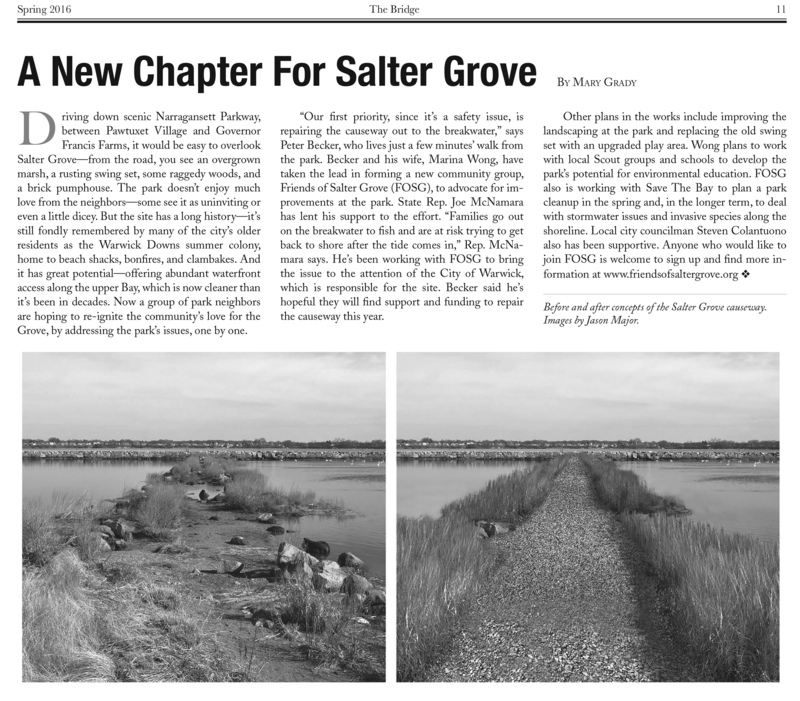 The ongoing efforts of the Friends of Salter Grove have been featured in the Spring 2016 issue of The Bridge, the newspaper of the Pawtuxet Village Association. Written by FOSG member Mary Grady, the article discusses our main goals to repair the causeway and shoreline access as well as acquire funding to improve the playground equipment and enhance the property throughout the park. The article can be viewed above, and you can read the entire Spring 2016 issue here or by picking a copy up at one of the many businesses around Pawtuxet Village. 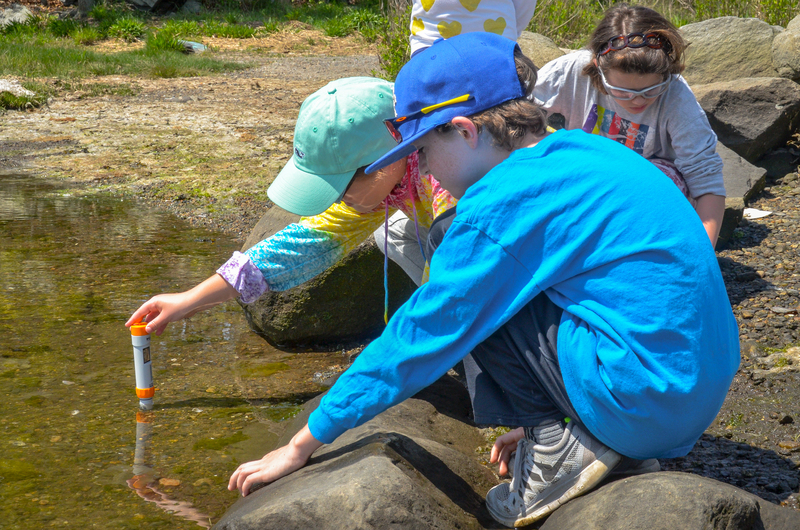 On May 23, 2016 the fourth- and fifth-grade students from St. Peter School in Warwick visited Salter Grove with their teachers to learn about interactions of plants and animals with their environment and explore the many different natural ecosystems of the park. It was a great way to learn about nature and how to conduct scientific work “in the field.” Below are some photos from the day’s events taken by FoSG member Jason Major. 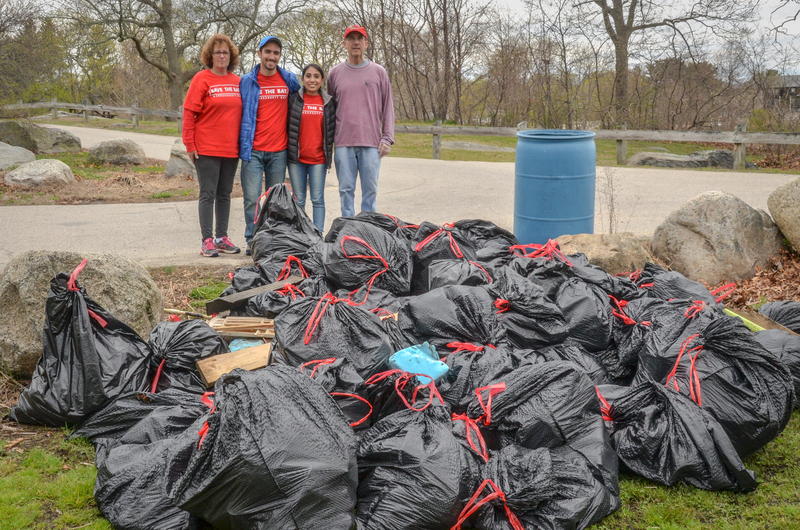 693 pounds of trash were removed from the shore and park areas of the Grove on April 23! On Saturday, April 23, Save the Bay hosted a Shoreline Cleanup at Salter Grove in honor of Earth Day. During that time over 30 volunteers gathered to pick up trash and litter from both the waterfront and inner areas of the Grove and also to learn a little more about FoSG and what we are working to accomplish at the park. In just a span of under two hours nearly 700 pounds of trash were collected and bagged—fantastic job everyone!